Born at Palmerston, Ontario on 4 November 1873, he came to Manitoba in 1893 and began teaching in St. Andrews, and later at Dempsey School (1896-1898). He moved to Dauphin in 1900 to take the position of school principal and in 1905 he became the first School Inspector at Neepawa. In 1921 he was transferred to Portage la Prairie where he retired in 1939. 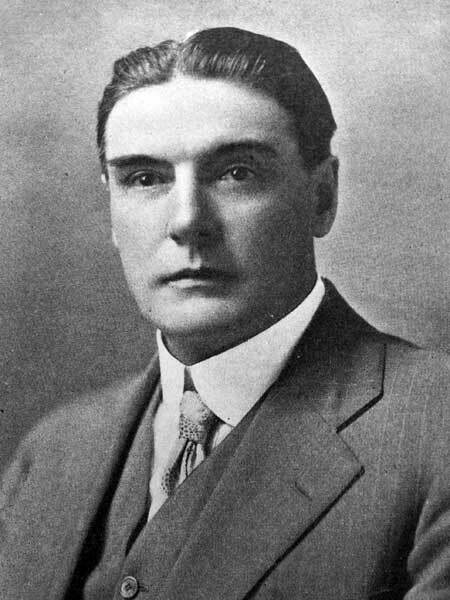 He was President of the Manitoba Educational Association from 1934 to 1935. On 25 December 1907, he married teacher Minnie Russell Sutherland (who had taught at Hamilton School) at Dauphin. They had three children: William David Fallis, Harry Fallis, and Mrs. Victor Dotten. He died at Winnipeg on 12 January 1948 and was buried in the Brookside Cemetery. “A. B. Fallis dies Monday,” Portage la Prairie Leader, 15 January 1948, page 1. “Allan B. Fallis,” Winnipeg Free Press, 15 January 1948, page 25. Between Mountain and Lake: A History of Ochre River Rural Municipality, 1885-1970 by Ochre River Women’s Institute History Committee, Neepawa: The Neepawa Press, 1970, page 31. This profile was prepared by Sarah Ramsden and Gordon Goldsborough.